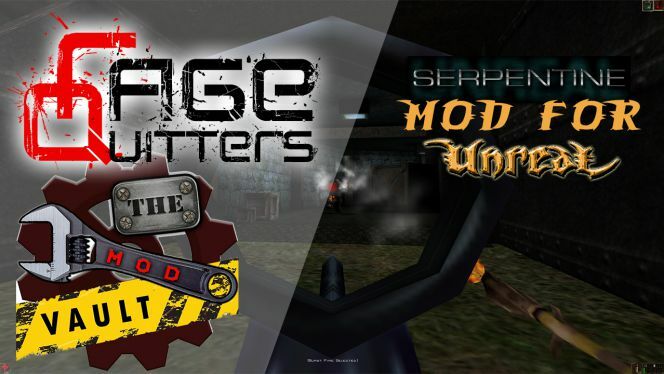 The Mod Vault – Serpentine for Unreal – So, here’s something new. A friend and I were chatting a week ago about game mods. The best, worst, classics and current modifications for PC games. So he inspired me to create a new playlist on our YouTube Channel entitled “The Mod Vault” – Massive thanks to Dagon for the sparkly new logo. The intro may change, it’s a start. Anyway, here’s our first effort; Serpentine, a realistic weapons mod from Unreal 1. Yes, an old yet classic game. Enjoy!